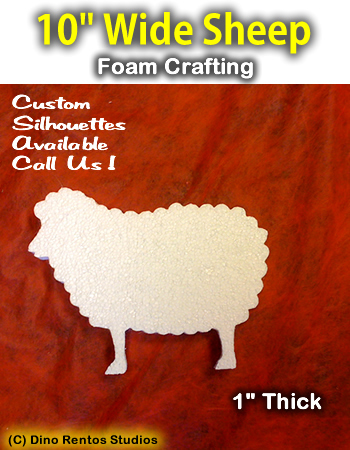 10 Inch Sheep Foam Shape Silhouette - Dino Rentos Studios, INC.
10 Inches Wide by 1" thick Foam Shape. Used for crafting or decorating at parties. Use on Candleboards ! Paint and sparkel the shape as you need.